Hello, Hel-lo! It’s hard to believe three years have passed since beginning this sustainable farming project. It certainly doesn’t feel that long, but since my calendar says so, it must be true. No kidding, this farming business is tough. And relentless. And it keeps reminding me how not-young-anymore I really am. It’s been a huge lesson in tenacity, sustainability and humility, but it’s been such a worthwhile and eye-opening journey too. I hope you’re as excited as I am because, finally, the moment I thought would never come is here: I have beef to share with all of you! Is it bragging if I say so myself? I can’t help it. I’m very, VERY jazzed up about this beef. Rich, amazingly flavorful, tender and juicy on an all-grass diet; it’s the best beef I’ve ever eaten. And, I know the cows were treated with care and respect. What’s different about our Devon beef? Science shows that the meat from old-fashioned, un-improved British breeds of cattle eating an all grass diet makes the most flavorful, finely textured and succulent beef. And you must be hiding under a rock if you haven’t heard the bawking about grass-fed beef being the most nutritious and healthy – for you, the cattle and the environment. Cows don’t come any more old-fashioned, un-improved or British than ours. And 100% guaranteed Pink Slime Free. It’s never been more important to support local farms and one of the best and easiest ways you can do that is to buy your food directly from farmers you know as often as possible. I hope you’ll take a minute to consider a different way of provisioning for your family – one that’s healthier, more affordable and so much tastier. And easier too, once you get used to thinking a little differently about food. Without your support, small, sustainable farms like mine struggle to live long enough to provide a lasting and healthy alternative to factory meat and produce. If you know me at all, you know that this farm isn’t just a business to me. It’s a calling. A mission. A legacy. And if you believe in the importance of sustainable agriculture, I can really use your help. This is great news! The tough thing about starting a combined cow/calf and finishing operation as you did from scratch is how loooong it is to the first payday. I will do what I can to let people know about your beef. 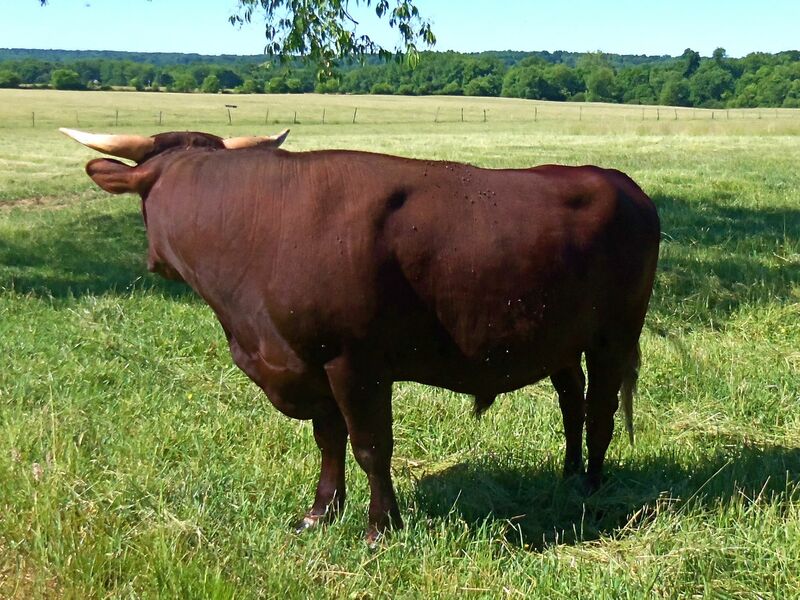 Beeeaaaautiful cattle. Really stunning. I am content at the moment with my brush-fed goat operation (although tiny!) When I get into beef eventually I may have to make a road trip for some breeding stock if you aren’t located too far from WI. It’s a blessing and a curse. :) I have gotten to see some of the best, most innovative, sustainable dairy farms and also some of the most gigantic, fossil-fueled, or simply ill-run dairy farms. Thanks for doing what you do, as a veterinary student I hope all of my clients will someday have a similar mindset as you and the rest of the livestock-bloggers I follow. Thanks, that’s nice to hear from a veterinary student.